This is another one of those recipes that looks terrifying to make. The ingredient list is long and it’s split into multiple layers. BUT! It’s actually really easy to make. 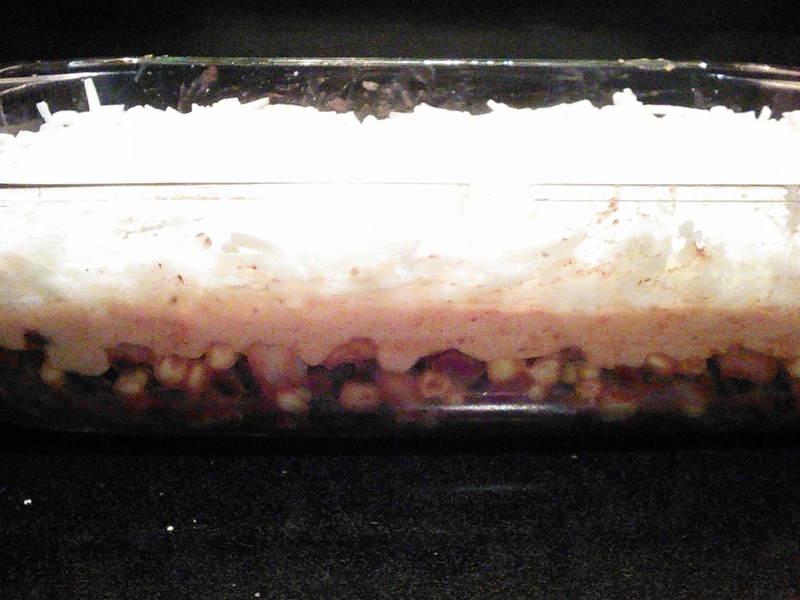 You more-or-less throw the bottom layer together, blend the middle layer, and dump on the top layer. It’s very simple and quick to make when all of the ingredients, except the onion, is coming from a can or bag. This recipe comes from The China Study: All-Star Collection. Servings: About 6? One 10×13 pan? 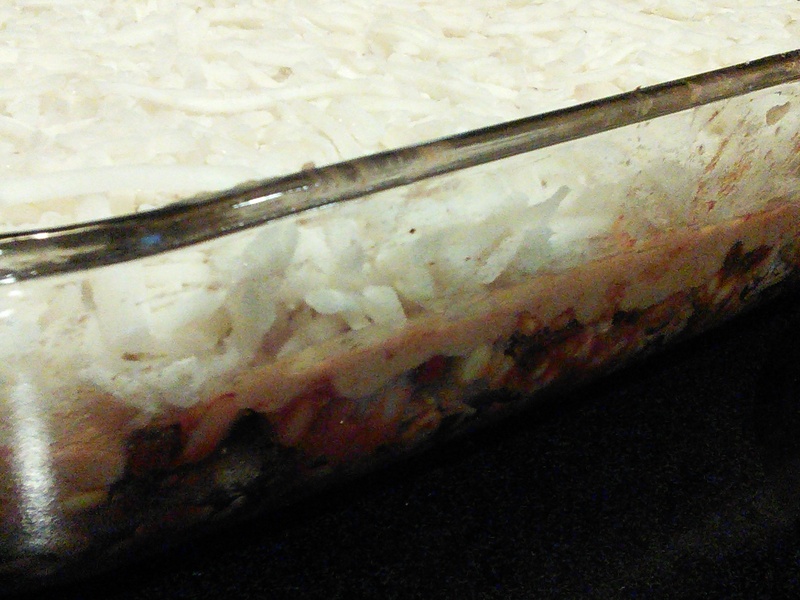 Mix all bottom layer ingredients and spread evenly across a 9×13 or 10×13 baking dish. It’s best not to use a smaller pan for baking or it’ll take forever to cook in the oven. 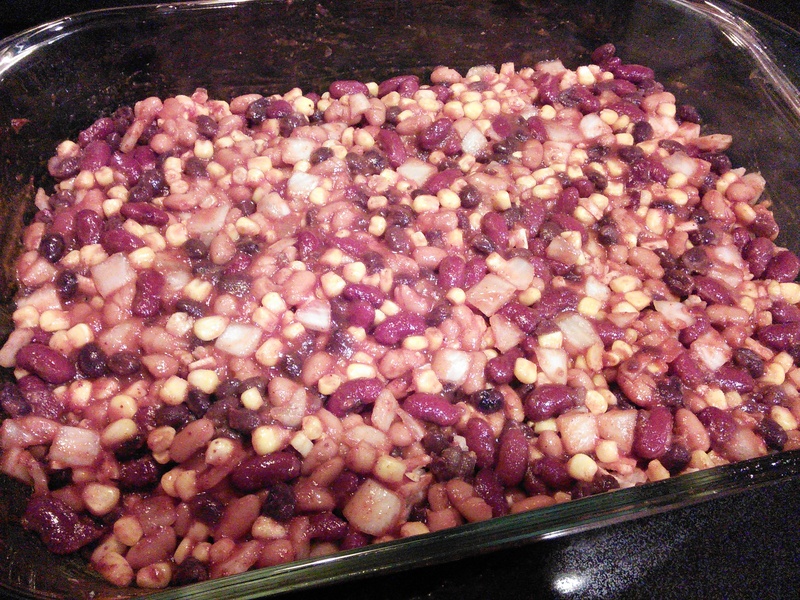 Even if the casserole doesn’t appear super-thick, use the larger pan size. Throw all the middle layer ingredients in a blender/food processor and blend until it’s very smooth. 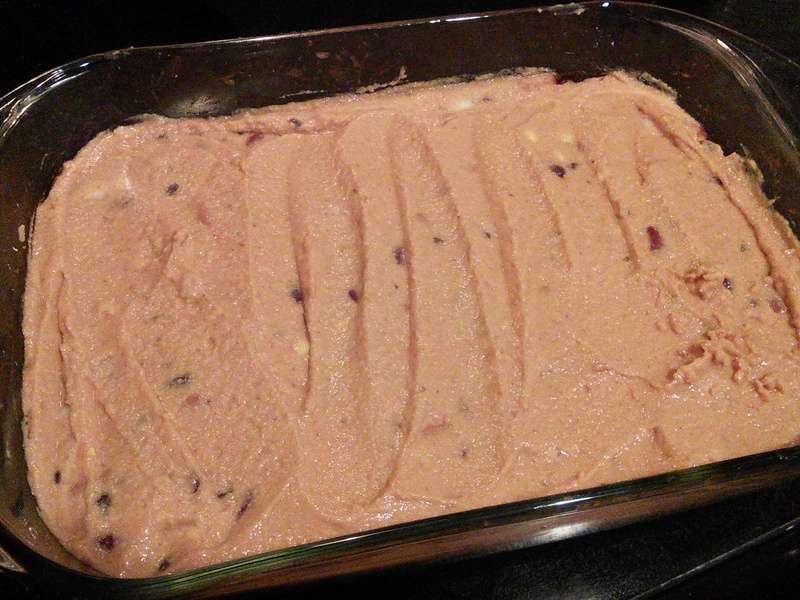 Pour over the bottom bean layer and spread evenly. Cover the top with hash browns. I use most of a 30 oz. bag with a 10×13 baking dish. Probably 25 oz. or so. You can see the clear layers of the casserole 🙂 The pictures below are before I put the casserole in the oven. Bake the uncovered casserole for about an hour, or until you see the potatoes browning (they need to be noticeably browned up for a light crunch—it’s a much better texture than when they’re completely soft). The sauce will also be bubbling. Cut into squares and serve! They should come out in mostly-solid squares. 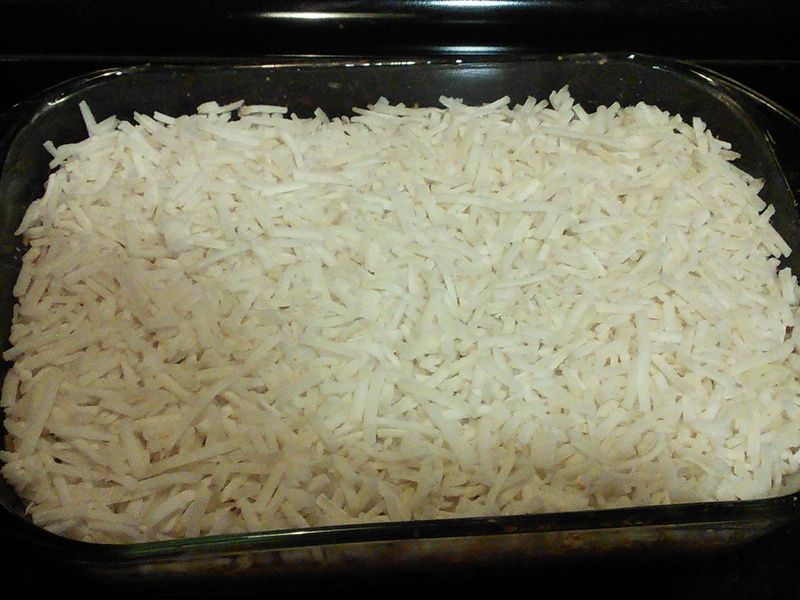 In the picture below I cooked the casserole for exactly 45 minutes. You can see the potatoes didn’t get very (or at all) browned up. In the future I’ll be leaving them in for closer to 55-60 minutes.